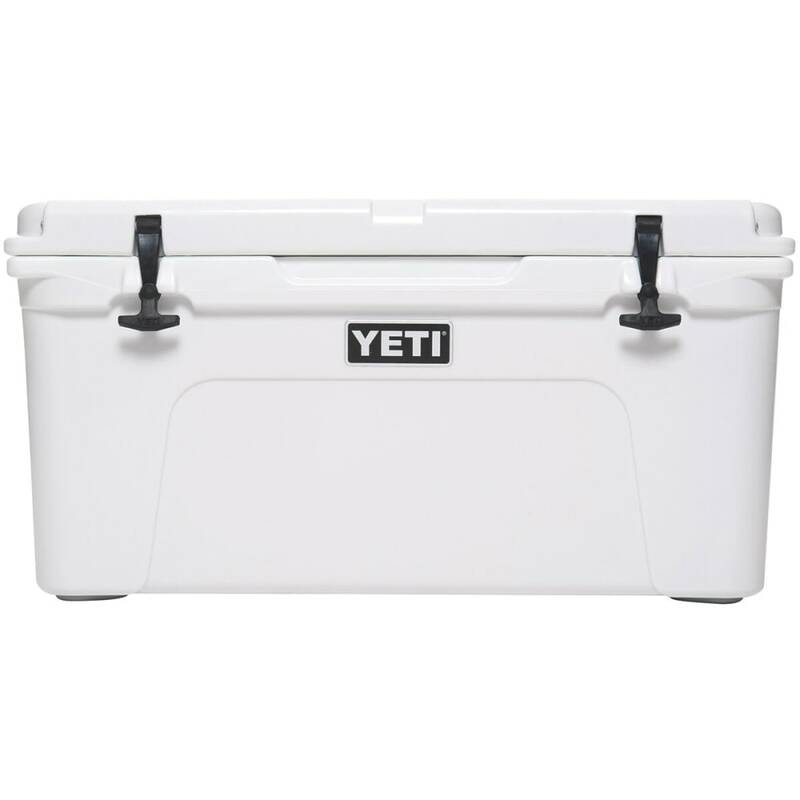 When you’re going into the wilderness for another adventure, make sure your cooler not only handles the extreme rigors but further keeps its contents effectively cold. 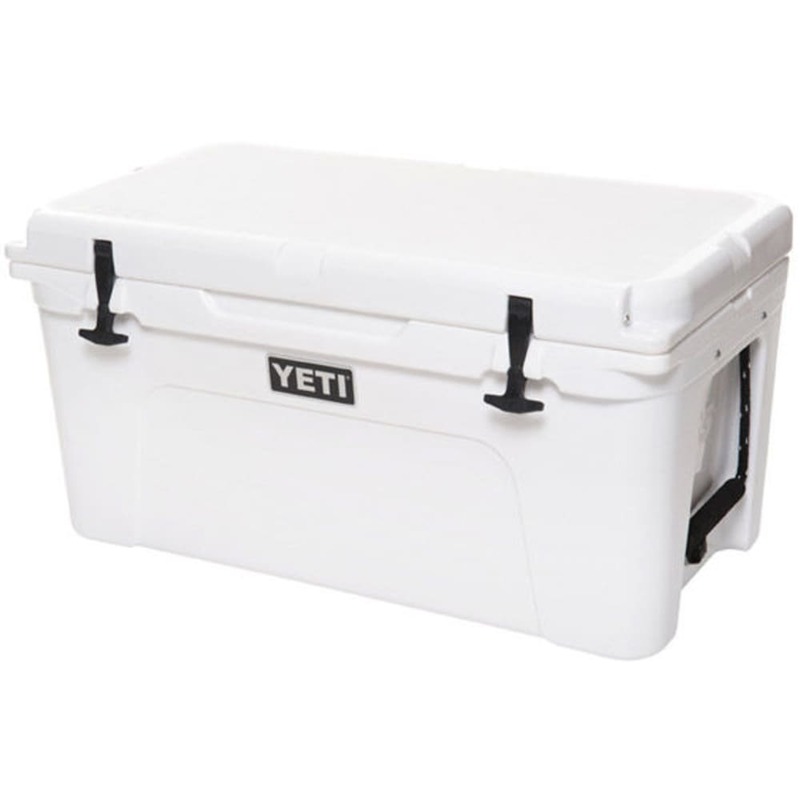 Part of Yeti’s Tundra Series, the roomy and dry ice-compatible Tundra 65 starts with one of the strongest exteriors around: A rotomolded, nearly indestructible, bear-resistant construction that’s fortified with a ColdLock™ gasket. But, in holding up to pretty much anything, its innovative design doesn’t forget about what’s inside. Rather, the FatWall™ interior adds 2 in. 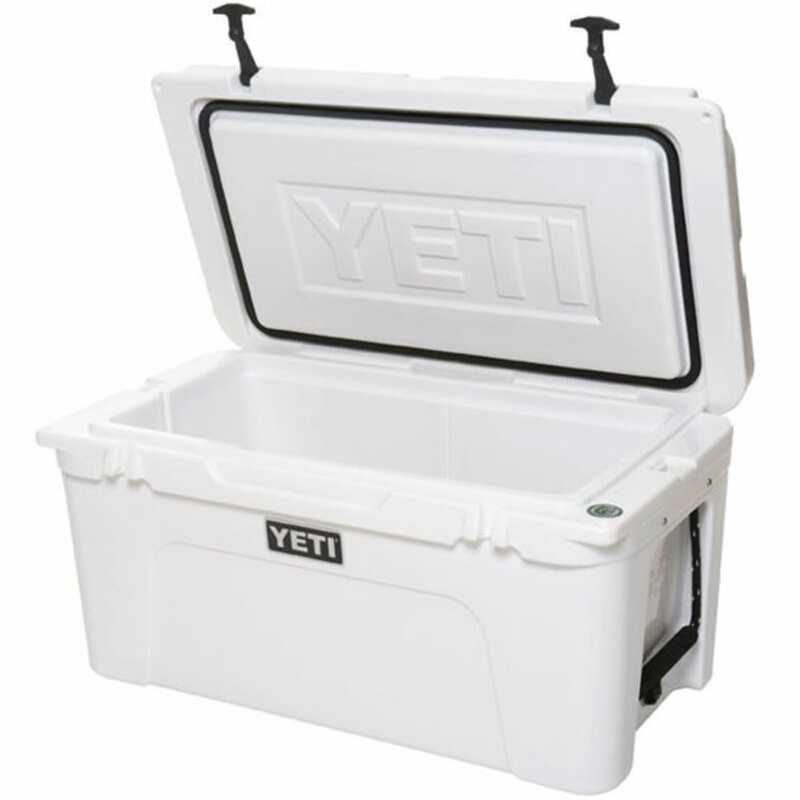 of insulation, while PermaFrost™ compounds to that with pressure-injected, commercial-grade foam on the walls and lid. The result is, any ice, drinks, fish, or whatever else you bring won’t be melted or warm by the time you reach your destination. Measures 30.5 in. by 17.5 in. by 16 in.